Wow- I’m impressed! Squeezing the lemons by hand! And I agree- lemonade is THE best on a hot day. So quenching! Wow!!! I can’t believe you squeezed them by hand! I hope your friends loved that Lemonade! 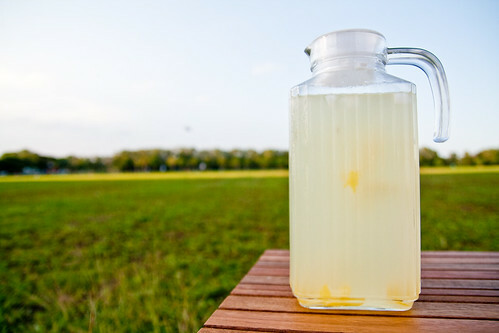 Lemonade is awesome when it’s hot… one of my favorite summer drinks! But I guess you get to enjoy it all year long! Fresh-squeezed Lemonade is the BEST!! BTW, I love the photo and the pitcher. Looks so refreshing. I love lemonade, too! Beautiful photo!